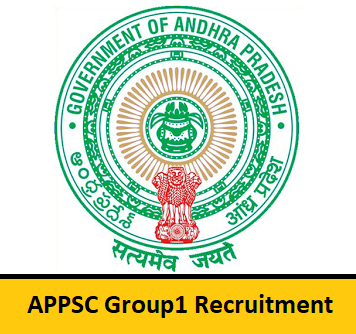 Latest APPSC Group I Recruitment 2019 Notification is released. After going through the complete details in the Advertisement, candidates can proceed to submit the application form, by the final date. There are total 169 Group 1 (Assistant Commissioner of State Tax in A.P. State Tax Services, Deputy Supdt. of Police (Civil) Cat-2 in A.P. Police Service, Deputy Supdt. of Jails (MEN) in A.P. Jail Service, Assistant Prohibition & Excise Superintendent in A.P. Excise Service, Mandal Parishad Development Officer in A.P. Panchayat Raj and Rural Development Service, and Other Vacancies). Well, the Officials of the Andhra Pradesh Public Service Commission are accepting the Applications in the Online Format. And 26th February 2019 is the final date by which the contenders have to submit their application form. 2.9 How To Apply For APPSC Group 1 Recruitment 2018? Remember at the time of applying, each and every contender, need to have all the Qualifications that are mentioned in the advertisement. Officials of the Andhra Pradesh PSC are looking for the Candidates who completed their Degree from any Recognized Institute or University in India. Here is a great chance for the people, from Andhra Pradesh State. Check out the complete details clearly. And then proceed to submit the application form before the final date. If you are not eligible, you can always check other Government Notifications on our site Freshersnow.com. Well, Here in this section, we are providing a table. And that table consists of information that an individual need to have had at the time of applying. So, check that out. 18 years to 42 years. And if you are eligible, fill the application form. Read the total details, you entered. Like all the details we shared about APPSC Group I Recruitment 2019 Notification? Find more such information, by checking our site regularly. Candidates can apply online for APPSC Group 1 Recruitment 2018 with the help of this article. The officials had stated that they had released this psc.ap.gov.in Jobs 2018 to fill the 182 vacancies of Group 1 (Deputy Collectors, Commercial Tax Officer, Assistant Prohibition & Excise Superintendents, District Fire Officer, Deputy Superintendent of Jails, DSP (Civil), Assistant Treasury Officer (ATO) / Assistant Accounts Officer (AAO), Regional Transport Officer (RTO), Mandal Parishad Development Officer (MPDO) ) Vacancies. So, all candidates need to gather this information and apply for the Andhra Pradesh Public Service Commission Openings 2018. In the below sections, applicants can find the more details on ఆంధ్ర ప్రదేశ్ పబ్లిక్ సర్వీస్ కమిషన్ Group 1 Advertisement 2018 such as selection process, eligibility criteria, set of instructions to apply, and others. Also, we have specified the direct link to download the APPSC Group 1 Recruitment 2018 notification for the comfort of candidates. In the below image, candidates can get the Post-Wise Vacancies of Group 1 details. Deputy Collector / Commercial Tax Officer or the Deputy Superintendent of Police Category-2 / Deputy Superintendent of Jails: A Bachelor’s Degree from any University in India established or incorporated by or under Central Act or recognized by the U.G.C. or an equivalent qualification. Divisional Fire Officer: B.E. (Fire), Competitors with a degree in any discipline B.E. (Fire) candidates are not available. District Employment Officer/ Regional Transport Officer/ Municipal Commissioner Grade-2: A Bachelor’s Degree from any University in India established or incorporated by or under Central Act or recognized by the U.G.C. or an equivalent qualification. Mandal Parishad Development Officer: A Bachelor’s Degree from any University in India established or incorporated by or under Central Act or recognized by the U.G.C. or an equivalent qualification. For All Other Remaining Posts: A Bachelor’s Degree from any University in India established or incorporated by or under Central Act or recognized by the U.G.C. or an equivalent qualification. The Age Limit plays a vital role in APPSC Group 1 Recruitment 2018. Candidates who are having the acceptable age limit, they only will have a chance to apply for APPSC Group 1 Recruitment 2018. The higher authorities of Andhra Pradesh Public Service Commission had provided the Selection Process For psc.ap.gov.in Vacancies 2018, to hire the talented and capable candidates for the given vacancies. Divisional Fire Officer: Rs. 19,050-45,850/-. All Other Posts: Rs. 16,150 – 42,590/-. Deputy Superintendent of Jails: Rs. 20,680 – 46,960/-. How To Apply For APPSC Group 1 Recruitment 2018? First Of All, candidates need to visit the official site of Andhra Pradesh Public Service Commission that is psc.ap.gov.in. In that go to the notification sections which is in the middle of the website. Search for the blinking link of APPSC Group 1 Recruitment 2018. Download the APPSC Group 1 Recruitment 2018 Notification. Read the complete details, and if you are eligible then apply for the APPSC Group 1 Recruitment 2018. Fill in the info of candidate correctly. Save and download APPSC Group 1 Recruitment 2018 form. Take two or more copies of APPSC Group 1 Recruitment 2018 application form for further details. For any queries regarding the APPSC Group 1 Recruitment 2018, candidates can leave us a comment in the below sections of Freshers Now website.